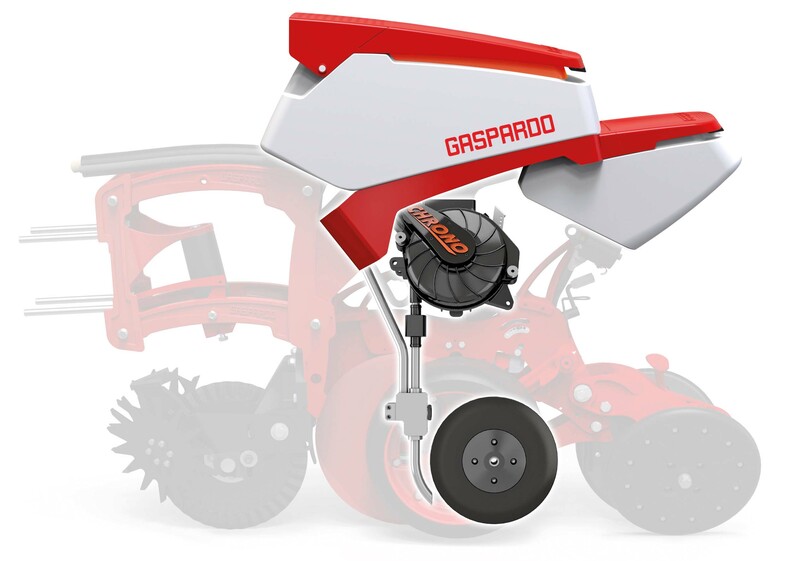 Thanks to the advanced features of isobus drills, new models of precision pneumatic planters maschio gaspardo are now available. It has been more than fifty years since Mr Egidio and Mr Giorgio Maschio built the first rotary tiller in the stable of their house. Since that 1964, and through important acquisitions such as Gaspardo, Unigreen, Feraboli and Pietro Moro Aratri, the Maschio Gaspardo Group of Campodarsego (PD, Italy) has become over time the leading company in agricultural machinery production, able to offer high-tech products for every kind of agronomic operation, from tillage to sowing, from fertilization to crop protection, till haymaking and maintenance of green areas. With over 2.200 employees 12 commercial offices all over the world, 5 production facilities in Italy and 3 abroad – in Romania, China and India -, Maschio Gaspardo, that in 2017 had a turnover of eur 324 million, continues to focus on innovation, in particular on what is now called ‘Industry 4.0’, namely the trend towards automation and industrial interconnection, both supported by new production technologies with a view to improving the working conditions of users and to increasing of yield and quality… We talked about this with Caterina Zambianchi, Operational Marketing Director of the Group. What does it mean, for you, the concept “Industry 4.0”? 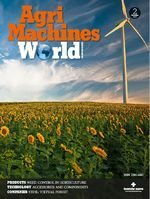 “The fourth industrial revolution is providing to agriculture and especially to Maschio Gaspardo, a new remotely transmission system of geolocation and performance data of the agricultural machines, aimed at incrementing cultivation efficiency”. Which of your products are part of this plan of technological modernization? 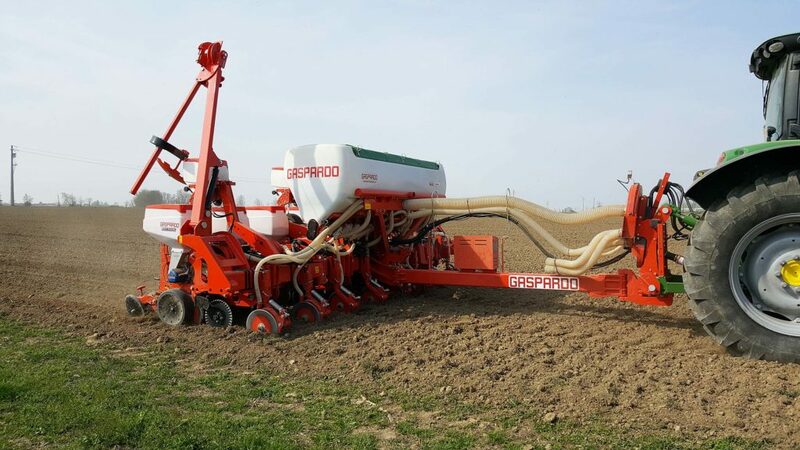 “The Isobus seed drills Maschio Gaspardo or the Isotronic precision pneumatic models or the pneumatic cereal seed drills Genius Master with the MG-Live system, are all included in the enhancing repayment plan promoted by the Ministry of Economic Development in 2017 – and extended for the whole 2018 – in order to support the Industry 4.0. With MG-Live our planters are always interconnected to a PC of the farm and to the technical support service of Maschio Gaspardo: this enables to manage the production data and to get the latest updates of the system. What action did you recently undertake in the perspective of Industry 4.0? “The main actions have been directed to research and development of information systems for precision agriculture, and this allowed us to increase the technology of our machines, implementing and certifying the Isobus system based on Industry 4.0”. Its name is Chrono and it is the new precision sowing unit, from Maschio Gaspardo, with advanced high speed technology, able to increase productivity of over 50%, ensuring forward speed of 15 km/h. The electric power transmission planter has an exclusive and innovative distribution. The system consists of a new hybrid drop hose, that, in order to check the seed drop in the seeding furrow, makes use of a high velocity air flow generated by an ejector. The regulation of this flow is independent from the one of the suction vacuum placed inside the distribution unit that withholds the seeds at the seeding disc, and this allows to optimize both selection and planting of seeds in the seeding furrow according to the different work conditions. The hybrid system adopted by Chrono keeps the optimal vacuum level by traditional technology and checks the seed drop in the seeding furrow using an innovative and flexible pneumatic conveying system. Thanks to its technology, this machine won the Smau Award 2017, the Gold Medal during the Polagra Premiery 2017 in Poland and the Gold Leaves Prize for innovation given by Fieragricola 2018. Which of the technological applications you launched on the market, do you think is most essential for a farmer at the cutting edge? “Today’s agricultural scenario requires equipment able to maximize yields and to reduce the on-site processing costs. Electronics support is very important to achieve these goals that, apart from the aspects related to Industry 4.0, have to manage varying amounts and to monitor the sections. Another feature equally important is the use of high-performance equipment even at high speed. 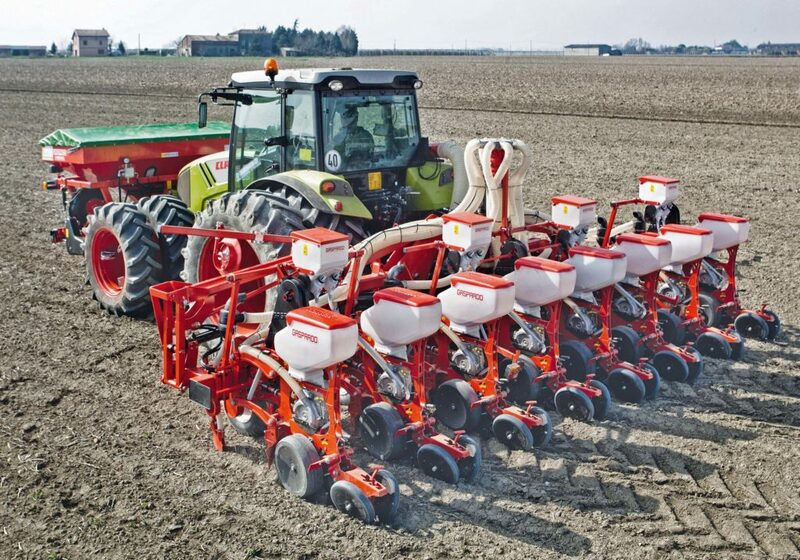 With regard to planters, for example, Maschio Gaspardo is developing the innovative high-speed planting technology with the new element Chrono always precise even with seeding speed of more than 15 kilometers per hour. Furthermore it is important to equip the sprayer with bars that will keep a steady and precise ground clearance also at high speed. For this purpose we have developed a new set of bars of 15 to 36 meters in width, while another one reaching 42 meters is being developed. As for fertilizers, in order to optimize the use of products, precision is essential, while as far as soil preparation is concerned, reliable and wear-resistant components are quite required as well as compatibility of use with increasingly powerful tractors. Maschio Gaspardo Group keeps always in mind these points during the development of equipment”. Which choices have led to the growth of the Group in the last few months? “In the first place the choice to reorganize the production sites, also in relation to the latest acquisitions, allowed us to complete the product range covering all the phases of the farming processes (tillage, sowing and planting, harvesting, crop protection). At the same time we focused on our final customers’ needs and realized machines that are both high-tech and user-friendly as well as in accordance with time and cost savings -farmers’ priority needs”. How important it is to you R&D activity and how much do you invest annually in this sector? “It goes without saying that this is an important activity of our company in which we invest about 3% of total turnover”. Are you in some way engaged in the field of alternative energy sources and eco-sustainability? “Of course. We consider it a priority, for many years now, to reduce our ecological footprint in production and to give a green turn to our company. At product level we promoted the development of high-efficiency agricultural machinery, while, at process level, factories have been fitted with plants of self-production from renewable sources, with considerable energy savings. This means that our plants have been totally cleared of waste materials and through photovoltaic installations they have become self-sufficient and have reduced carbon dioxide emissions. Following this sustainable turn Maschio Gaspardo received many awards such as the Radical Green Award of 2011, the New Energy Renewed Company Award of 2012 and the Carbon Trust Standard Certification, obtained – the first time for a company specialized in agricultural machinery production – in 2013 and confirmed in 2015”. 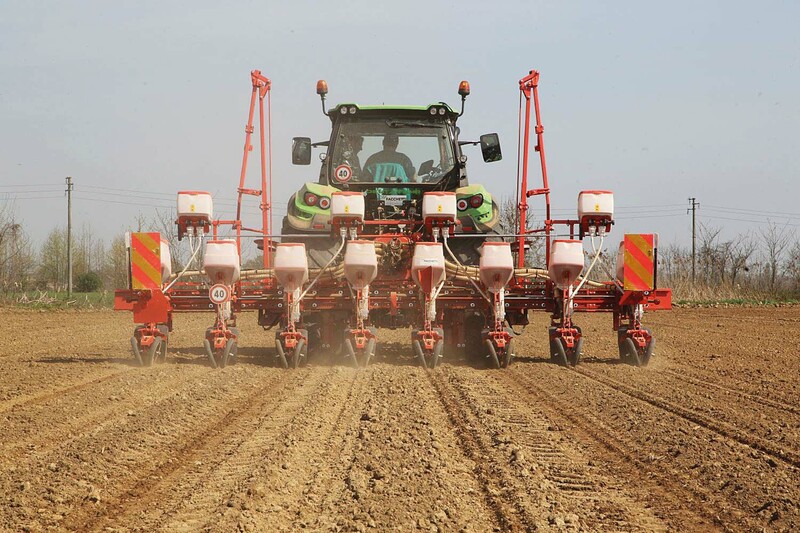 The new high-precision monogerm planter Magica Isotronic makes full use of the entire working width of 6 meters in order to reach top performances with every kind of row. Its frame, in fact, has been designed to be fitted not only to rows spacing of 75 cm with 8 seeding units but also to rows spacing of 45 cm with 12 seeding units, just by adding, respectively, 2+2 elements in the outer sections. The Isotronic version comes with state-of-the-art electric motors that allow, directly from the monitor, both to adjust the sowing distance and to read real-time all the main levels (double, missing, on average and as a percentage distance). This seeder will be available from season 2018 also with electronic micro-granulators. Measuring max 3,20 meters, road transport is allowed (the Highway Code states that agricultural vehicles with width of up to 3,20 meters – at 40 km/h – can circulate with a simple authorization issued by the competent authority). Which of your facilities are currently meeting greater success on the market? Which direction are you heading to? “The most successful product segment on the market is no doubt that of tillage and garden maintenance, followed by seeders production; though we are focusing closely also on haymaking and on crop protection, fast-growing markets for our business”. “The innovation is the key to the development of our business: without it, global agriculture will not be able to meet the needs of a steadily growing population. Agricolture 4.0 is certainly the future for the agriculture machinery market: the deeper the integration among machine, operator and tractor, the more efficient and highly profitable the market will be”. What are the present prospects for the Italian farming industry? “2018 seems to be another year of growth in Europe, mostly for Eastern countries that registered a double-digits increase. Italy? After a very competitive 2017, it should recover”. What can agriculture still expect from Maschio Gaspardo? “Our company will go on to invest in product innovation, in markets where farming is strongly developing and in quality, all strategic choices to maintain the leadership of the market. Double-digits turnover increase proves that these choices are successful”.